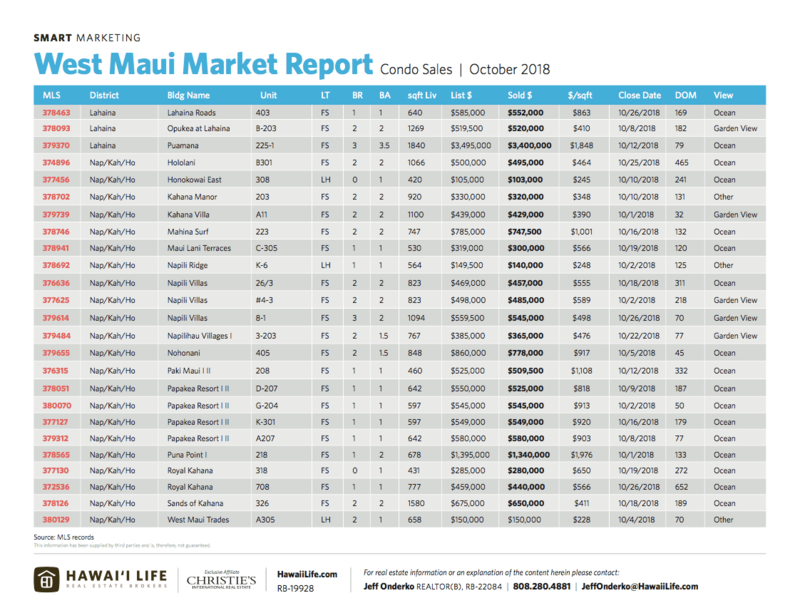 As it is my commitment to keeping the local community informed, I am pleased to share with you the most recent West Maui home, land, and condo sales reports for your review — covering Kaanapali, Kapalua, Lahaina, and Launiupoko. 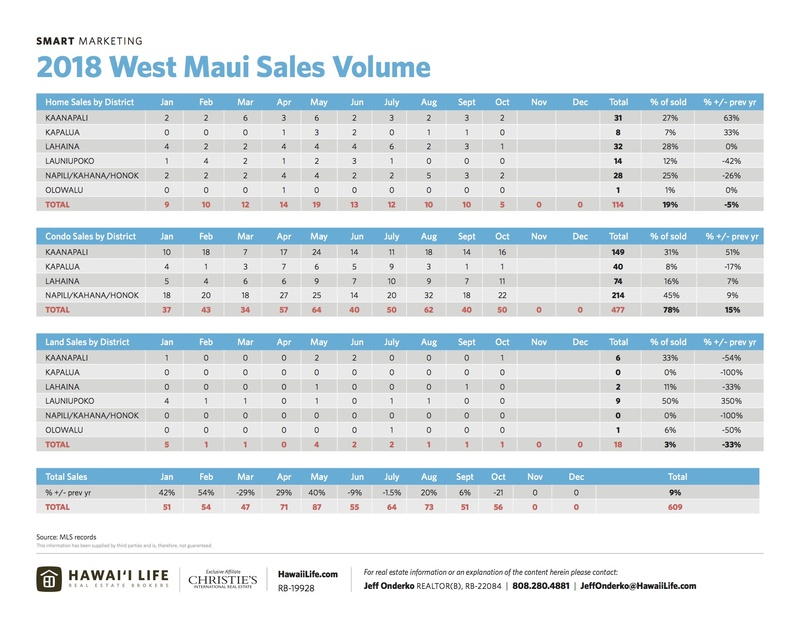 You’ll find real estate sales volume, days on market, list versus sold price, price per square foot, and more. Absorption Rate = The rate at which homes are sold in a specific market over a specific time. This figure shows how long it will take to exhaust the inventory supply. 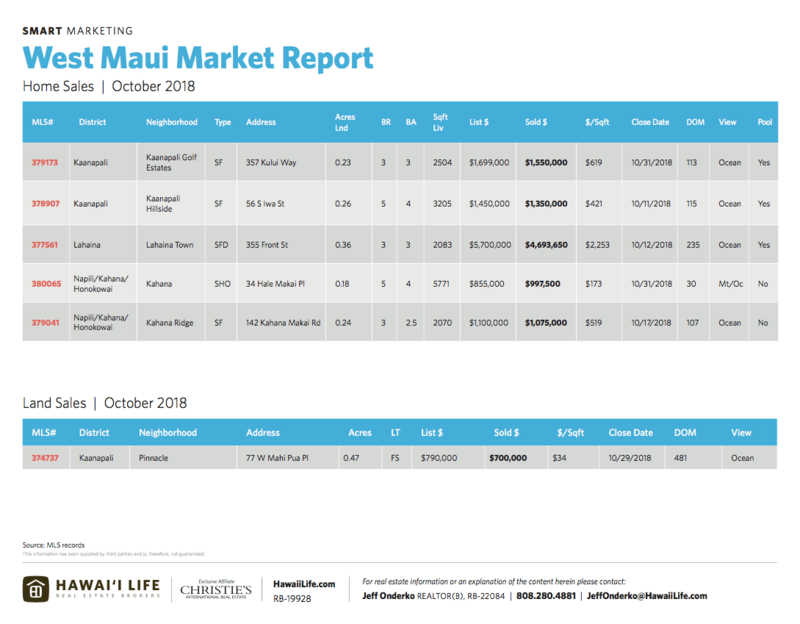 If you are in the market for buying or selling West Maui real estate or have any questions about the area or the market in general, please feel free to contact me. I welcome the opportunity to give you information on my previous sales performance and marketing strategies. 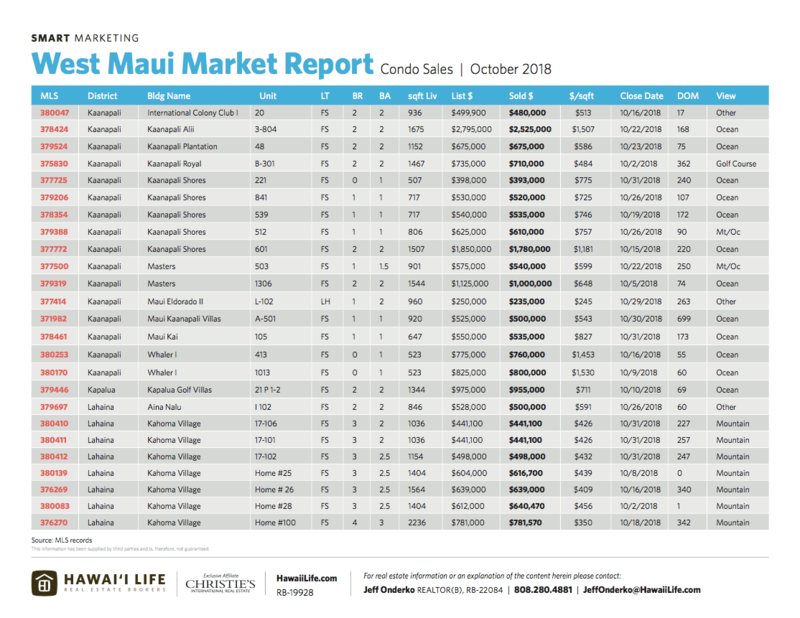 Or if you’re curious about what your property is worth in today’s market, it would be my pleasure to provide you with property information and a value assessment free of any sales pitch.